This modern art deco inspired purple book folding card is made from a matte finish shimmer board. 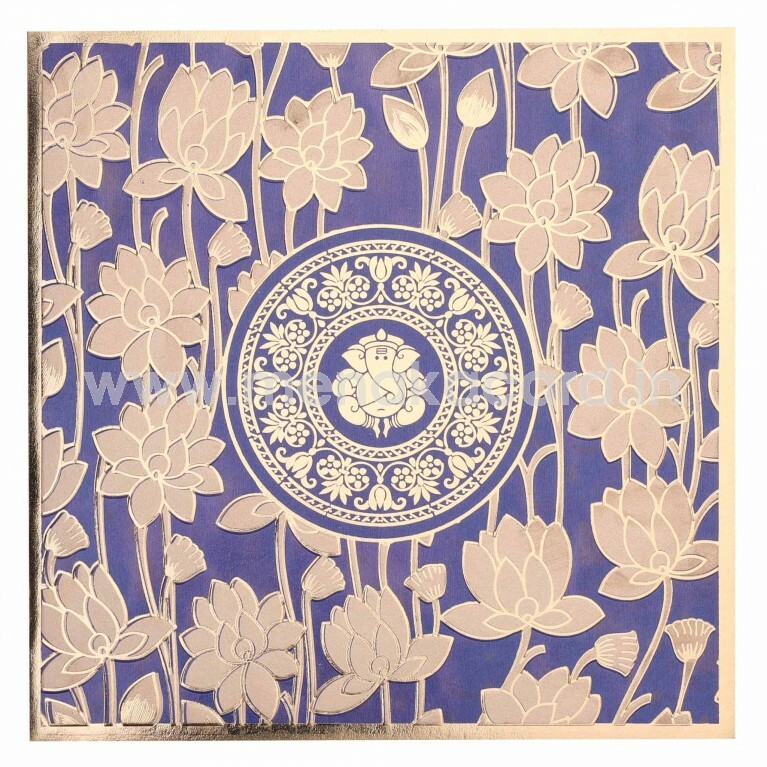 The front of the card is decorated with beautiful art deco lotus motifs printed in gold ink and foil on a luxurious purple backdrop, which acts as the background for the ornamental circular gold foil frame housing a contemporary gold foil Ganesha at the centre of the card. 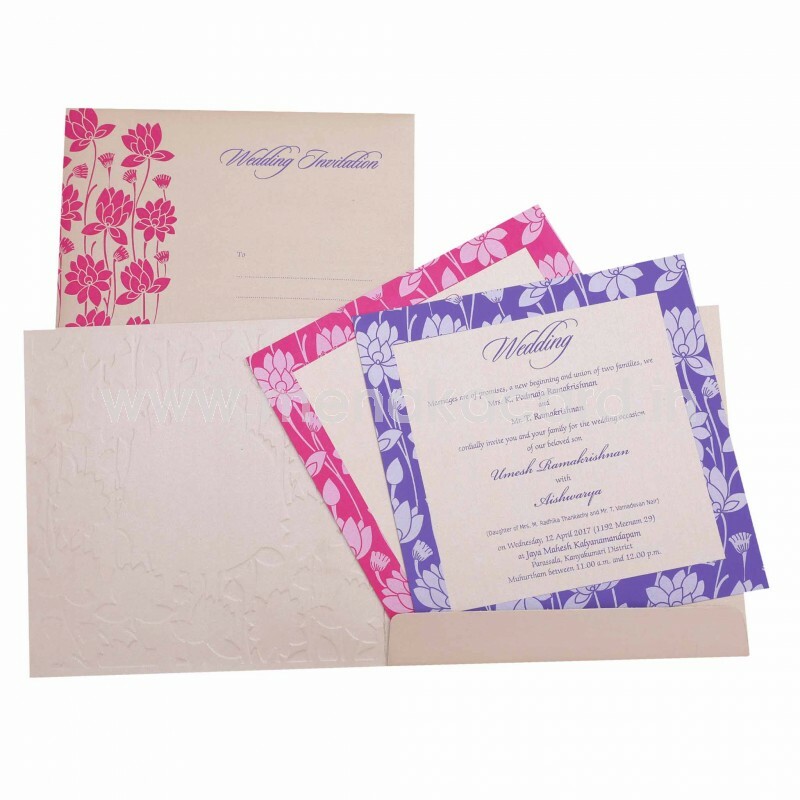 The inserts are made from the same cream shimmer board and have content printed with designs in contrasting ink and borders. 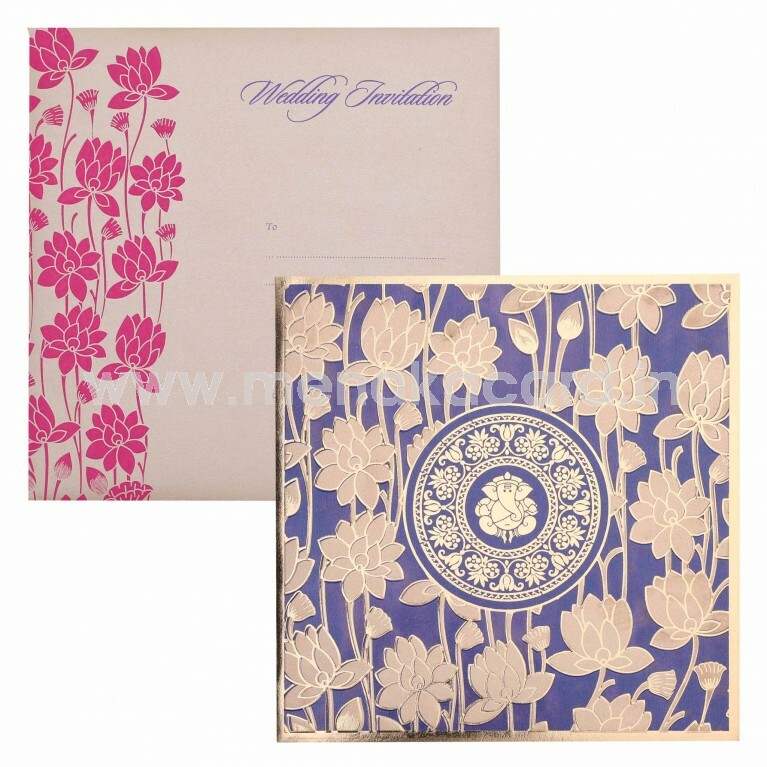 The envelope sports a different look on the cream material with the lotus prints as a border on the left. 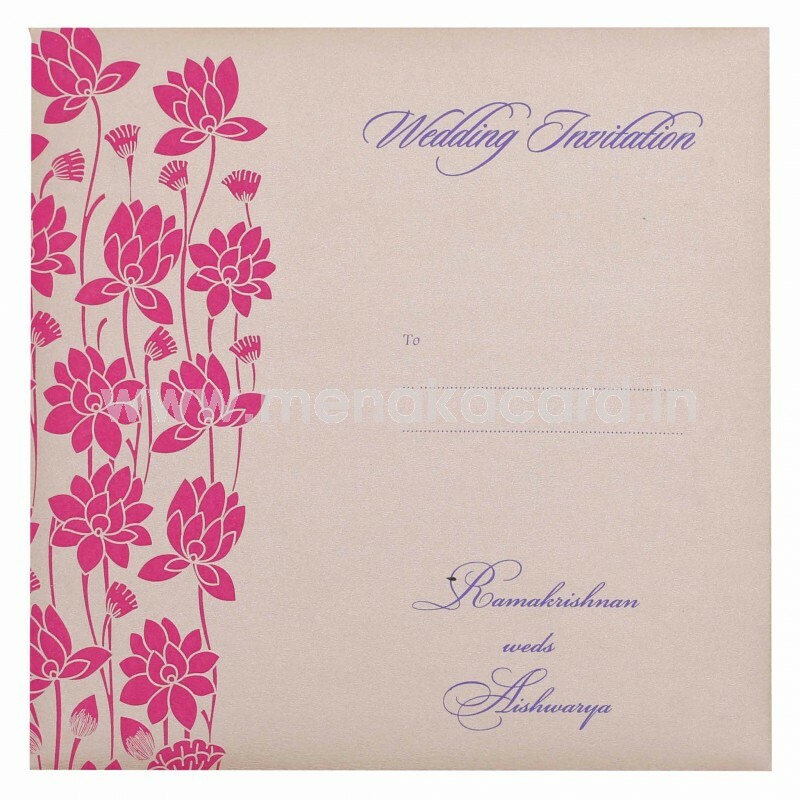 This can be used for Hindu and Multi-faith weddings, engagements, receptions.